they have learnt it. By reflecting on the language, the students are likely to understand things in more detail and to remember them better. 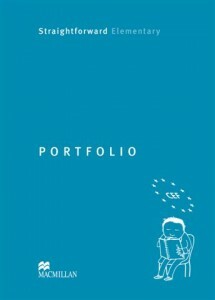 The Portfolio is designed for students to use on their own as a personal book and diary. However, some teachers may like to include a weekly Portfolio slot in class time. Before the course: The introductory pages help students to analyse what they can already do in English and to set targets for the future. During the course: The diary sections give students the opportunity to record their thoughts as they work through their Student’s Book. 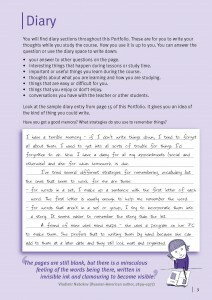 There is one diary page for each lesson in the Student’s Book. After the course: At the end of the Portfolio there are some pages to guide students to analyse the progress they have made and to help them assess their English at the end of the course. a place to keep their own personal record of the work they do during their course. a place to write down their thoughts and feelings about the work they do. questions to encourage them to think about their English and their studies. some puzzles, cartoons, jokes and interesting quotations.